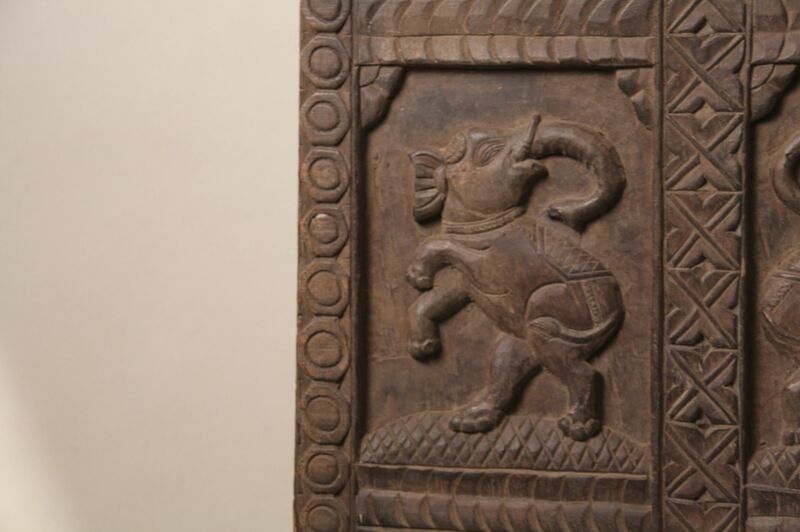 Beautiful hand carved teakwood door from India, circa 1900. 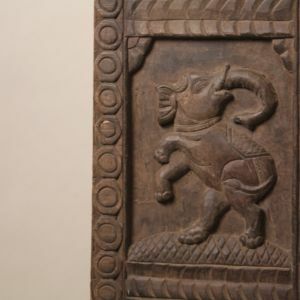 Carved in bas-relief, iconographic pairs of elephants, peacocks, horses, lions and other creatures are framed by wonderful design details that make this folk art panel truly exceptional. 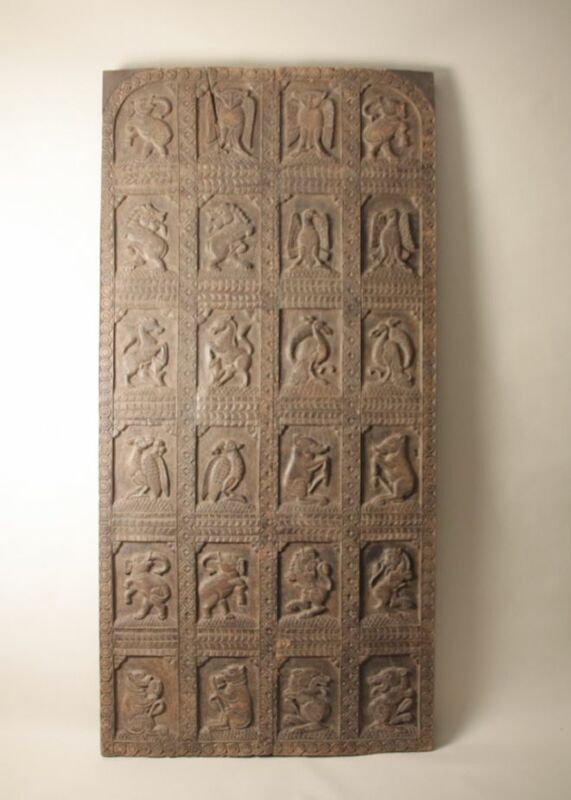 The door was carved in two pieces and is joined with a wooden strap in back. Upper squared corners were added later.